Featuring 6 brandnew guided mindfulness exercises as well as new functionality, The Mindfulness App is ideal both for those who have used The Mindfulness App before and for people just beginning a mindfulness practice for the first time. 6 brandnew guided meditations totalling 80 min Mountain Meditation Lake Meditation Lovingkindness Meditation Body Scan Standing Meditation Walking Meditation 4 silent meditations with bells 10, 20, 40 and 60 minutes. Possibility of setting random reminders or to be reminded when you come to, or leave a specific location. You can of course also be reminded on a specific time. 40 new Mindfulness Notices that helps you to increase your presence in the moment. All the meditations that you have done are stored in the statistics section so that you have a possibility to follow how your meditation practice is developing over time. "Extremely effective. This App helps calm a busy day." 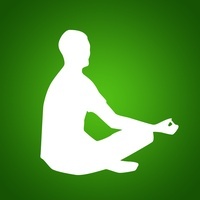 "Excellent app for inspiring a regular meditation practice." began using this app as a supplement to a course on mindfulness and meditation. t has been excellent! The meditations both silent and guided are great, particularly being able to create your own meditations. t has really helped me develop my practice." "Great app. Very useful for busy, stressful lifestyle. use it daily. Helps in so many aspects of work, home and social life.!" The Mindfulness App is a great tool for everyone who wants to become more present in their life, both beginners and experienced pratcitioners. We hope that it will enhcance your day and make your life richer and more interesting! Check these links to find your download for The Mindfulness App II for & iOS or for your device iPod TouchiPadiPhone. The app The Mindfulness App II is compatible with te following devices.